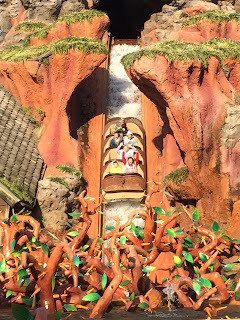 Today is the 16th anniversary of FastPass first being used at both Splash Mountain and Space Mountain. When it first came out 16 years ago, it utilized paper tickets. It has since evolved into an electronic system. Although FastPass has changed quite a bit over the last few years, it still helps guests avoid the long waits at some of the popular attractions. Guests always ask what is inside Cinderella Castle. The second floor is almost entirely Cinderella's Royal Table restaurant. 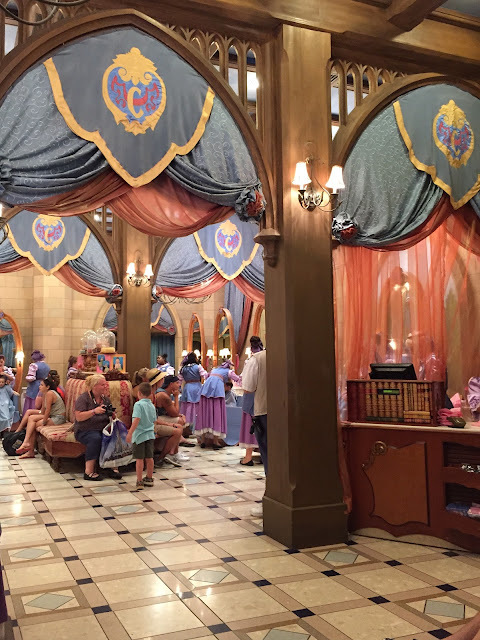 However, much of the first floor is occupied by Bibbidi, Bobbidi, Boutique, where little girls are transformed into princesses. A few weeks ago, I had two little guests get "makeovers" in this spot. 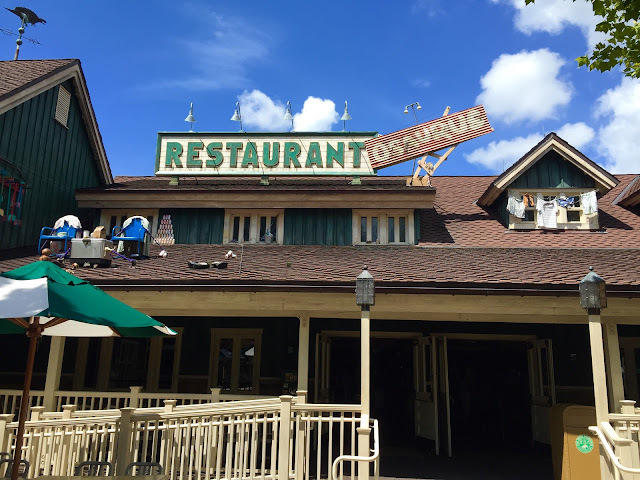 Restaurantosaurus is one of the largest quick service spots in Walt Disney World. It has a great theme that fits in with the story of a nearby "dig site." You can see a couple of chairs on the roof where college paleontology students would sit while taking a break from the dig. 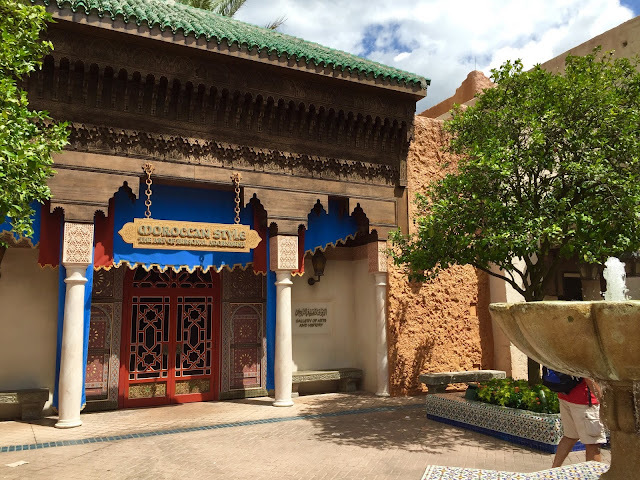 The Morocco pavilion has some fun "hidden treasures." Although this Moroccan Style building is one the first things you see in the area, very few guests open the doors to enter the small museum inside. However, it is a nice, quiet, air conditioned spot to take a break from the hot Florida sun! Recently, Disney opened the newest Starbucks location on property. 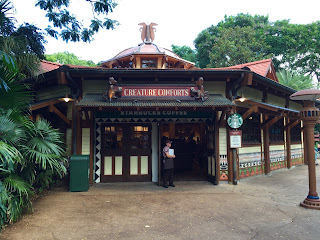 It is located in the old Creature Comforts shop in Animal Kingdom. This is the last of the parks to get a Starbucks. Once again, Disney did a very nice job with the theming of this "coffee shop." 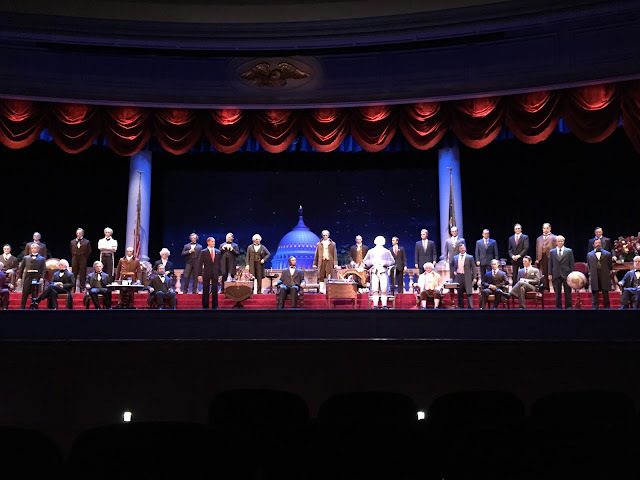 Although The Hall of Presidents isn't the most popular attraction at the Magic Kingdom, it is certainly one of the most iconic. Opening in 1971, it was way ahead of its time from a technology standpoint. It still amazes me how realistic looking each president appears. 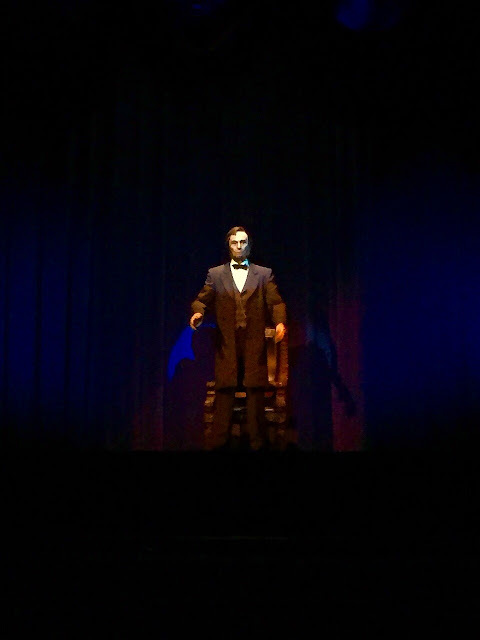 I took this shot of Abe Lincoln on the 4th of July. 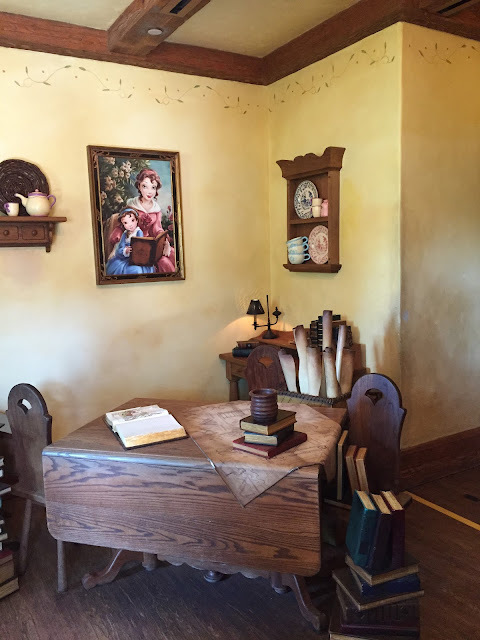 Enchanted Tales with Belle is one of the new Fantasyland attractions that opened in 2012. It is a unique telling of the Beauty and the Beast story with great special effects and a chance to meet Belle. Maurice's cottage is the "portal" to Beast's Castle and the final section of the queue. On real hot days, The Crystal Palace at the Magic Kingdom has a table with ice water dispensers set up on the porch. It is for the guests waiting for a table to be ready. A few weeks ago, I noticed this hidden Mickey in one of them. 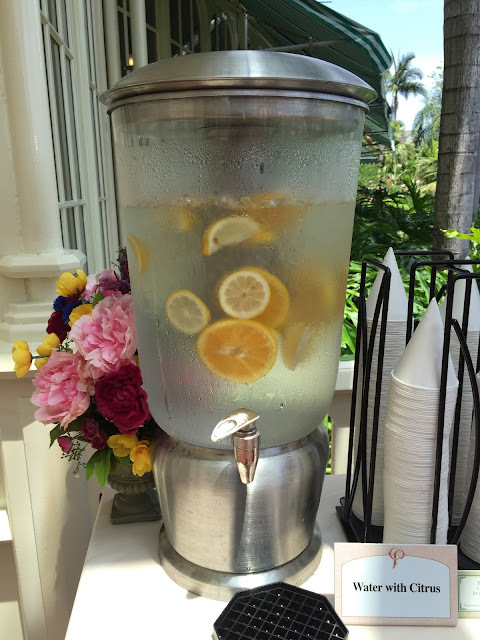 It was made with orange slices, and a cast member verified it was placed there on purpose. 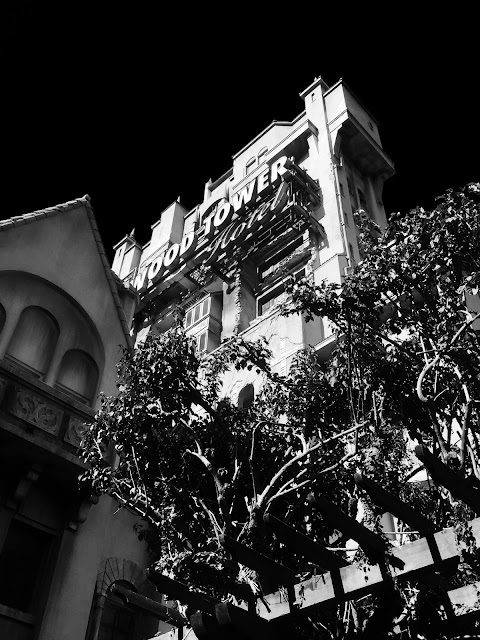 Today, we say happy 21st birthday to Tower of Terror. 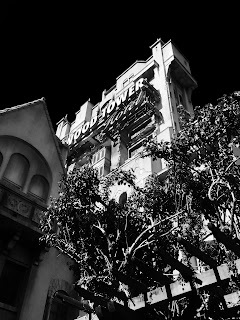 Guests first dropped thirteen stories on July 22, 1994. The drop sequences have changed over the years, but the overall theme has remained. I edited this recent shot to give it a "darker" look. 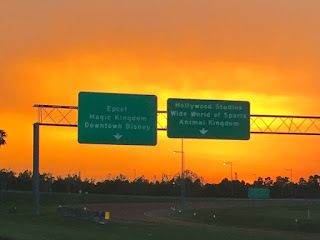 This is one of the main entrances to Walt Disney World. The sunsets are often amazing in Central Florida, and I took this shot a few weeks ago. 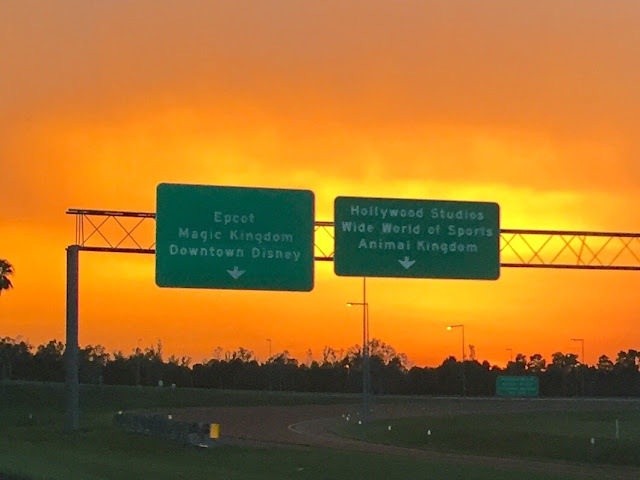 You can see the signs for the parks outlined by the glow of the sun. 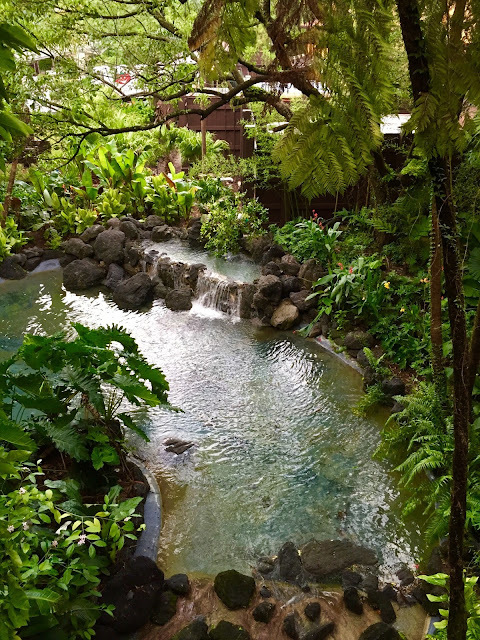 The Polynesian Village Resort has gone through many recent updates including a major pool refurbishment, lobby update, and a new lounge. 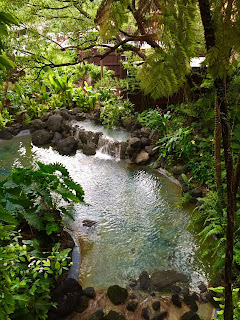 They also updated the hotel entrance area, including the lush foliage and water displays. I took this shot from the upper level walkway connecting the monorail station to the lobby. 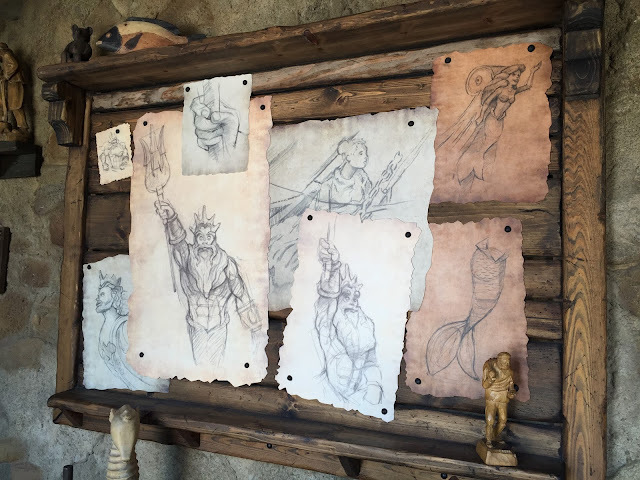 Although Pinocchio doesn't have his own attraction at Walt Disney World, he is represented in several places. First off, one of the largest restaurants in the Magic Kingdom is named after him....Pinocchio Village Haus. 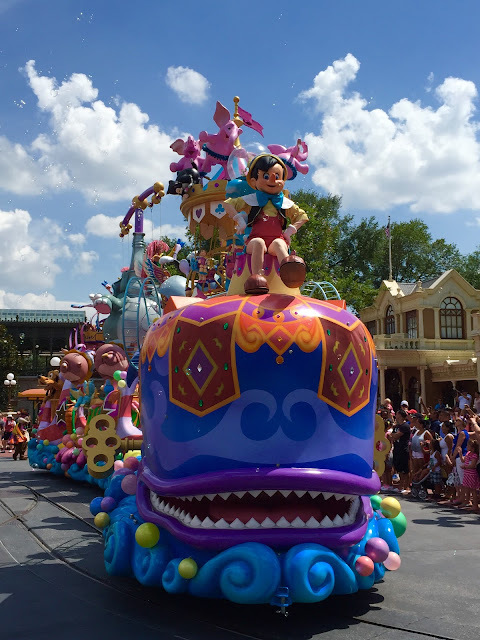 Secondly, he sits atop great float in the Festival of Fantasy Parade. I took this shot on the 4th of July. 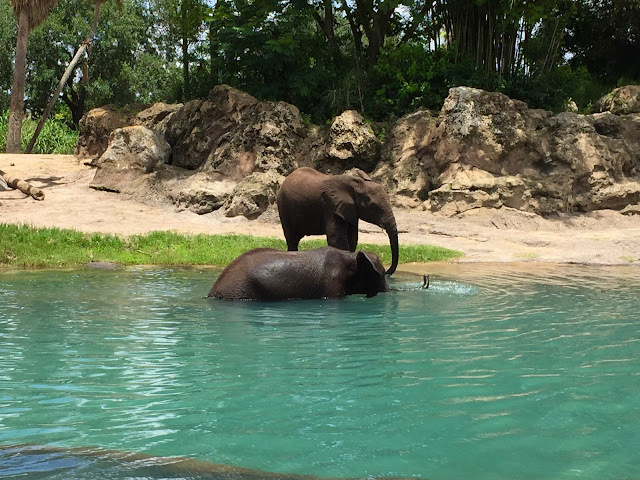 The elephants at Animal Kingdom are a big part of Kilimanjaro Safaris. A few weeks ago, I took this shot of two of them enjoying this pond. It is always fun to see the animals being active in their habitats. Today we say happy 60th birthday to Disneyland. Walt's first theme park opened on July 17, 1955. 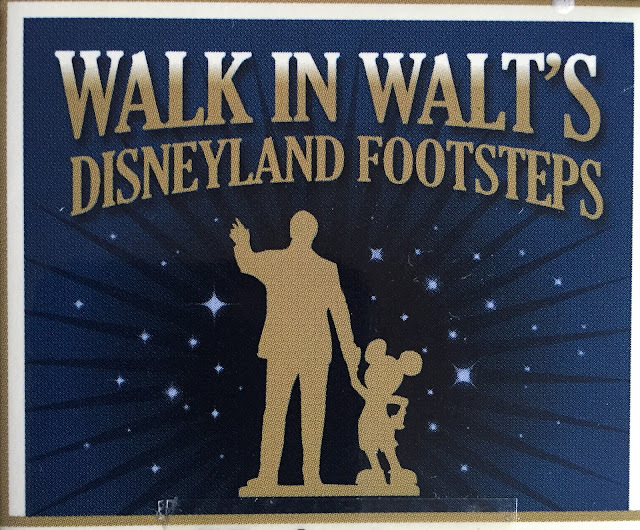 Two years ago, I had the chance to take the "Walk in Walt's Disneyland Footsteps" tour, which highlights the history of this park. At the end of the tour, we were brought to Walt's apartment above the firehouse. 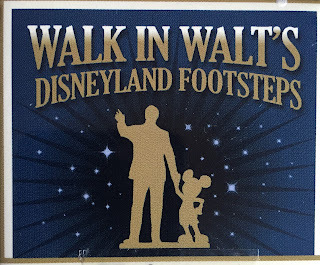 This is where he stood on opening day while watching the first guests enter his park. This photo shows the special button given to guests on the tour. Mickey's Star Traders is a popular gift shop in Tomorrowland. 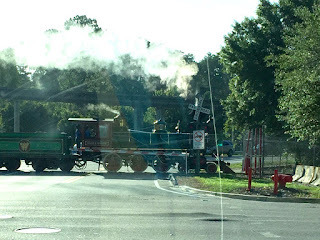 It is also known for having the most hidden Mickeys of any one location in Walt Disney World. There are seven in this picture. Can you find them all? Across from the entrance to the Under the Sea attraction in the Magic Kingdom is a Disney Vacation Club kiosk. Like everything else at Walt Disney World, this area is themed to the surrounding land. There is a statue of King Triton, where guests often take photos. Behind this statue, there is a cut-out in the rocks with many movie references. You can see several drawings of King Triton as well as Ariel in this photo. 40 years ago today, Disney announced its plans to build an Experimental Prototype Community of Tomorrow. 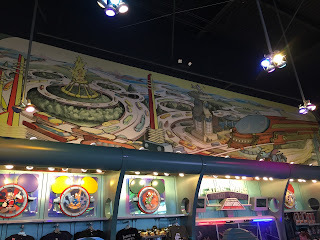 It would open as Epcot Center seven years later, on October 1st, 1982. 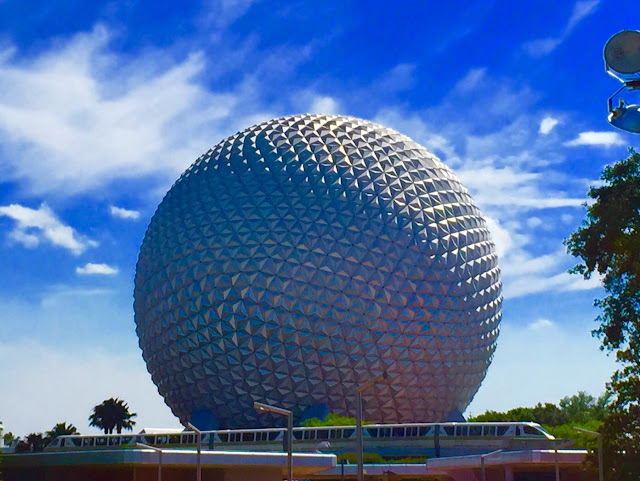 Although Epcot isn't exactly the place Walt originally envisioned, it has brought much joy to hundreds of millions of guests. 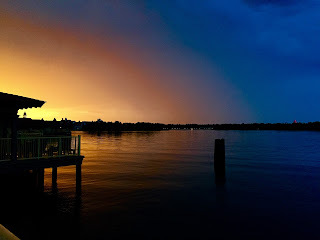 This was the sunset view from our friend's Polynesian Bungalow on the 4th of July. These new villas are some of the nicest accommodations at Walt Disney World. There is certainly no better fireworks view anywhere on property. 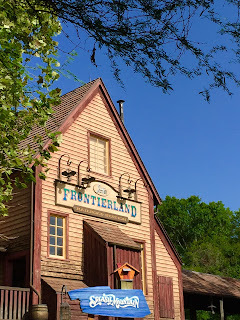 In the early days of the Magic Kingdom, the Frontierland Railroad Station was the only thing in this area of the park. It wasn't until 1980 that Big Thunder Mountain was built, and Splash Mountain didn't come along until 1992. At that point, the Frontierland Station was built "into" Splash Mountain. I took this shot while my tour guests were enjoying this popular water ride on a very hot day last week. Captain Jack Sparrow's Pirate Tutorial is a popular show in Adventureland, where kids get the opportunity to become pirates. 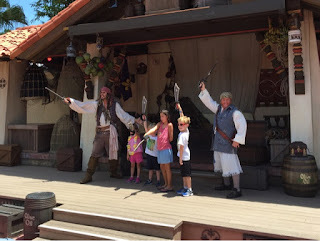 The cast members who play the part of Jack Sparrow are very good, and even resemble Johnny Depp. I took this shot yesterday, while touring the Magic Kingdom. 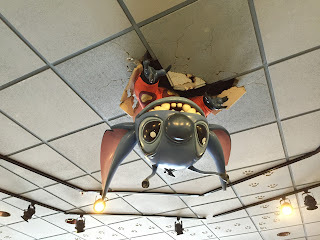 I am always telling people to look up when waking around Walt Disney World. When you exit Stitch's Great Escape, you come out in one of two gift shops. The Merchant of Venus shop has this Stitch poking through the ceiling. I took this shot yesterday while giving a tour at the Magic Kingdom. Last week, I was having lunch on the balcony of Pinocchio Village Haus when I took a few shots of Fantasyland. 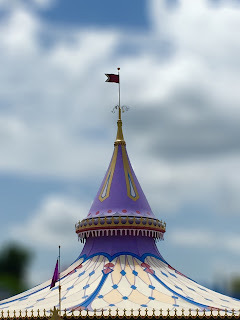 This is the top of Prince Charming Regal Carrousel. I used the iPhone Tadaa app to add the "depth of field." 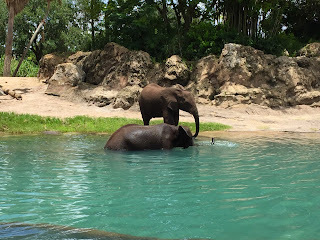 One of the reasons I love Kilimanjaro Safaris at Animal Kingdom is that you get a different experience each time you ride. 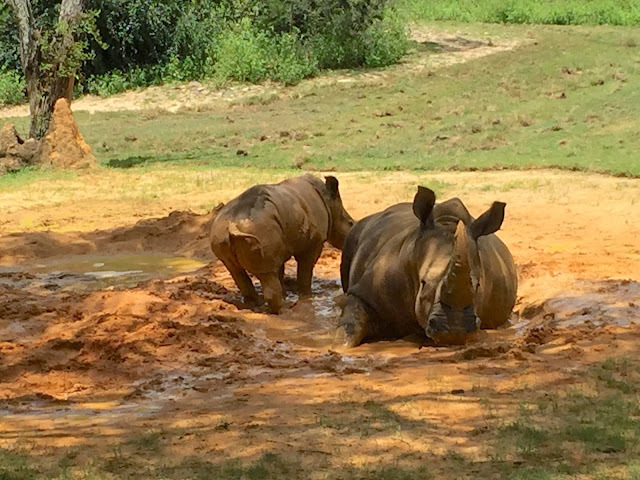 Today, we saw a mother and baby rhino playing in the mud. This is the first time I've seen a baby rhino. 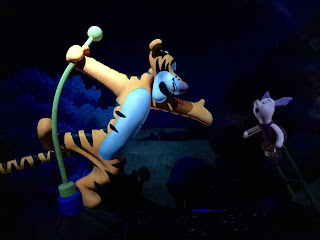 It is difficult to get a clear picture in a dark ride. However, I had this opportunity while riding The Many Adventures of Winnie the Pooh a few days ago. Our honey pot stopped for a few moments right in front of Tigger and Piglet. I was able to snap this shot without the need for a flash. 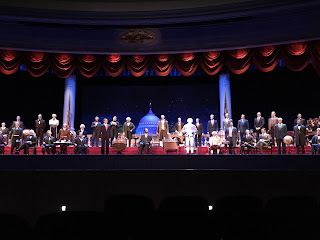 Yesterday, I took this picture inside The Hall of Presidents to commemorate Independence Day. Sadly, I just learned that Blaine Gibson passed away today. He was the sculptor for all of the presidents in the attraction up to Barack Obama. 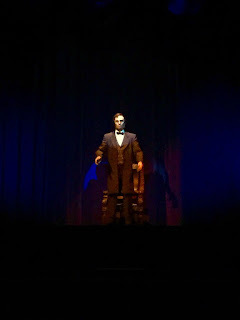 He is also know for sculpting the famous Partners Statue that is found in the Magic Kingdom hub. Mr. Gibson was an incredibly talented artist who will certainly be missed. 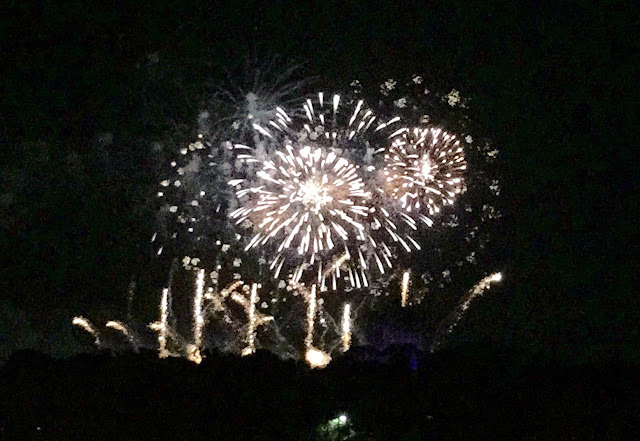 Thanks to a good friend, we had the opportunity to enjoy the Magic Kingdom 4th of July fireworks from one of the new Polynesian bungalows tonight. 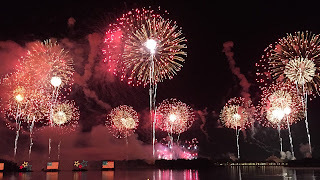 This was an incredible view of one of the best fireworks displays in the country. Disney always does a great job with their shows, but it was something special to see it from this location this year. 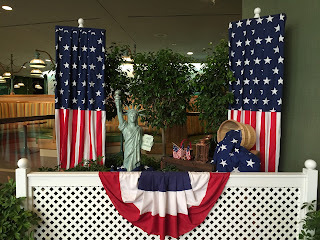 On the eve before Independence Day, I thought this would be a fun photo to post. 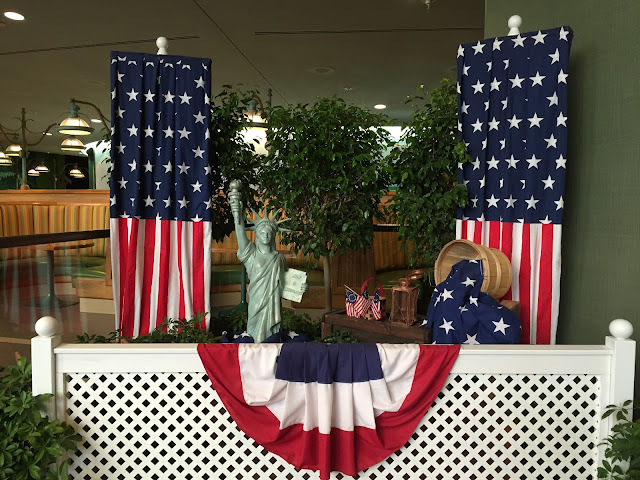 This display was set up outside of the Garden Grill restaurant in The Land pavilion at Epcot. I took this shot today, while my tour guests were enjoying Living With the Land. 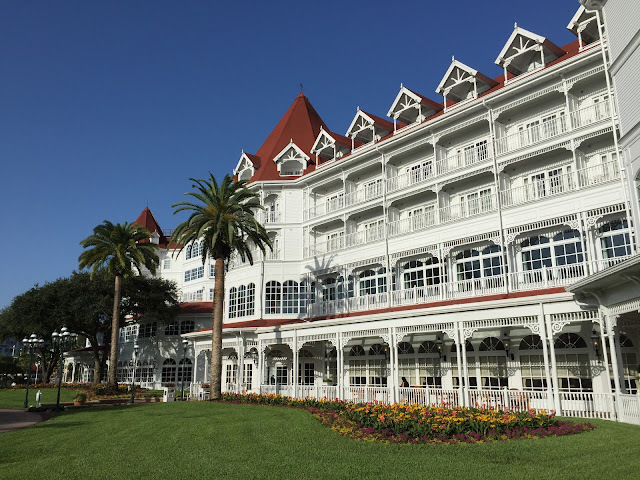 Yesterday was the 27th birthday of the Grand Floridian Resort. It first opened its doors on July 1, 1988, and has been the flagship Disney resort ever since. I have tour guests staying there this week, so I grabbed a quick photo before meeting them this morning. I have taken many fireworks pictures over the years, but this shot is definitely from the most unique vantage point. 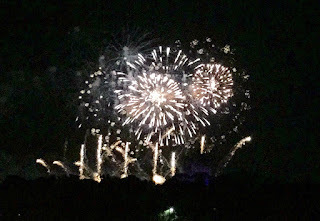 Last night we were visiting friends at the Boardwalk resort pool when the Frozen fireworks started. I decided to climb to the top of the clown waterslide to get a better view. It is from this perch that I took this shot of the finale. On a side note, today is the 19th anniversary of the Boardwalk's opening.